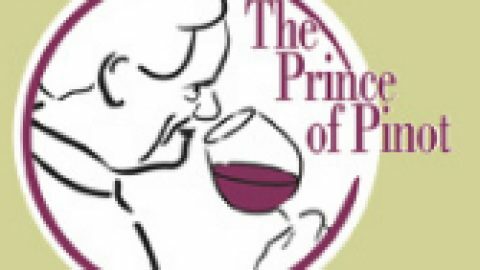 We’ve been so fortunate to have become excellent friends with Barb Randall, author of “Willamette Valley Wineries,” and a reporter specializing in food and lifestyle topics for the Lake Oswego Review. 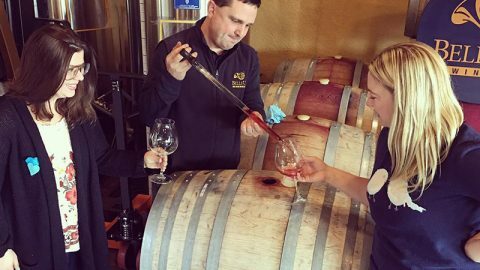 Barb is an authority on all things edible and quaffable in Oregon—the Willamette Valley in particular—so she was one of the first people we reached out to for a preview of our upcoming releases and current wines. 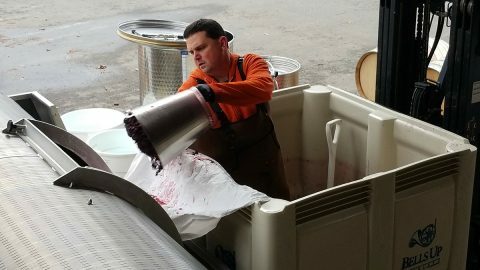 From the article: “Dave Specter, Bells Up winemaker, with a tank sample of the winery’s very first estate wine: 2017 Prelude Estate Rosé of Pinot Noir. Barb and her sister and brother-in-law dropped in a couple of weeks ago to sample the 2017 Rhapsody Pinot Blanc, the 2017 Prelude Estate Rosé of Pinot Noir and the 2016 Firebird Walla Walla Valley AVA Syrah—all scheduled for release in April—as well as the currently available and much-lauded 2015 Titan Pinot Noir and 2015 Villanelle Tonnelier Vineyard Reserve Pinot Noir. 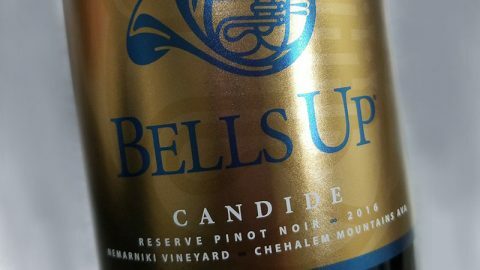 So we were utterly delighted to see her review in a lengthy article (“Bells Up has plenty to toot its horn about“) published last Thursday, February 22, 2018, with a suggested pairing of Herb and Garlic Lamb with Green Olive Salad to go with either of the Pinots. 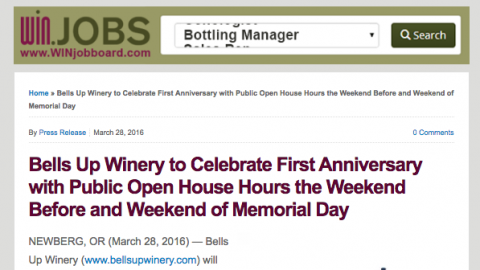 We’re humbled and honored by her coverage (it’s a #bellsupmoment! 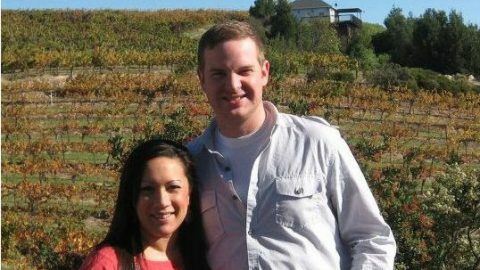 ), and hope we can entice her to join us for another book signing in our tasting room during one of our upcoming open house weekends. Until then, contact us by phone or email to schedule your private appointment. Although three of the wines have not officially been released yet, we are pouring preview samples available for purchase as futures.